It seems that autumn/winter 2018 is destined to make us all feel like we're on some kind of never-ending chic safari. While we're all for the neutral colour palette that has dominated the look throughout the summer (hello, beige, camel and off-white), it's actually the animals we're taking inspiration from as of late. Snake, zebra and even cow prints have been taking the limelight, but now it's the classic leopard that's gaining our interest once again. Like trench coats and ankle boots, we've started to realise that leopard is just part of our A/W capsule each year. So what's different this time around? 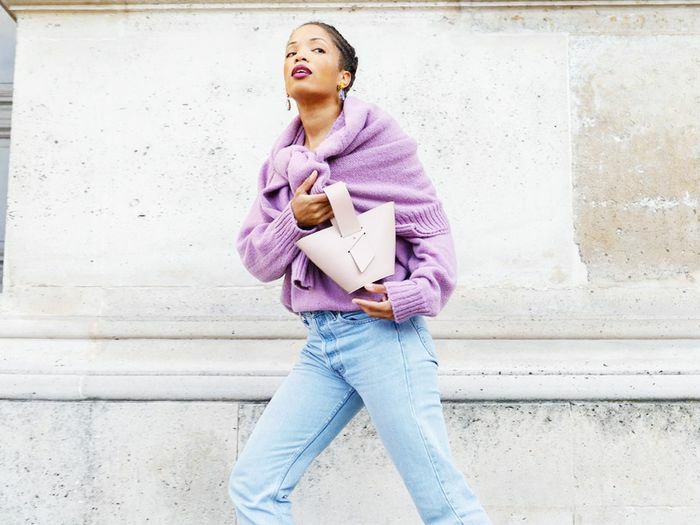 Although we have a lot of time for coats, jumpers and skirts (yes, we mean that Réalisation satin number), it's jeans that are getting the style set talking. Your denim collection is about to get a hell of a lot more exciting. Style Notes: Create a retro vibe with clashing accessories and a statement slogan knit. Style Notes: Head-to-toe tonal has got a lot of attention already this season. Take inspo from Adenorah on how to get it right. We're all for a printed trouser trend like the check print that comes around each year, but it looks like printed jeans are being brought out of hibernation, and you'll be surprised at how much wear you'll actually get out of them. 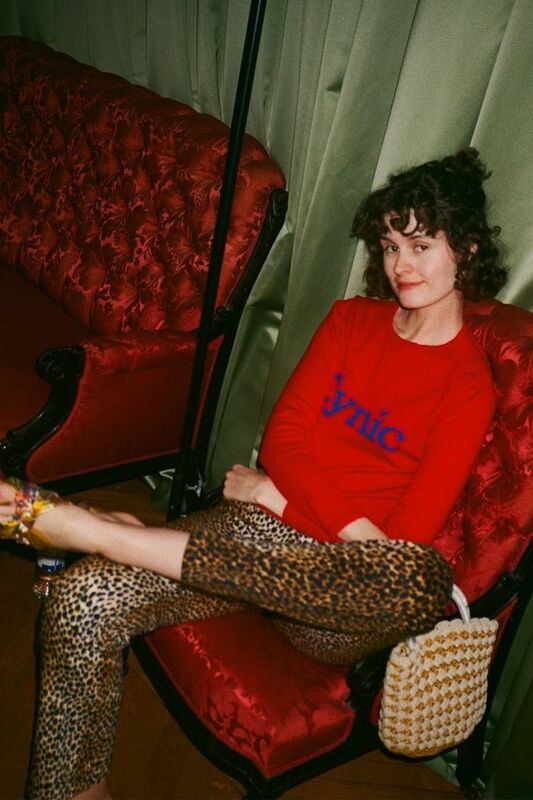 From the Topshop Jamie flares that are just asking to be worn with a roll-neck to the Paige pair (they've been all over Instagram in the past few weeks) you'll wear with everything, believe us when we say that leopard-print jeans are here to stay for the foreseeable future. Read on to shop 16 of the best pairs you'll want to take home. We see these as more of "mom" jeans rather than an über-skinnies, thanks to the high waist and baggier legs. Kick-flares are ideal for showing off a killer pair of ankle boots. Soft grey will go with everything from a colour-block knit to a white tee. The best-selling Joni jean has even had a leopard update. We're big fans of this retro pair; they're not only super stylish but comfy too. These have to be kept rock 'n' roll, so team them with leather. A cream cable knit jumper and Western boots will bring these right into 2018. Trust Paige to bring us the ultimate pair that'll suit everyone. If you're going to go for statement jeans, do it properly with detailed hems. A crisp white shirt and suede courts will make this khaki pair work for the office. Layer a shirtdress on top, and leave the buttons at the bottom undone to flash your leopard trews. You'll want to keep these for party season and beyond. These will work wonders with fresh kicks. Grey cashmere is calling out to be teamed with this baggy style. Want more animal-print action? These are the best leopard-print skirts to add to your collection.